I am thrilled to report that we now have 2 working Eiki slim line film projectors in the Clarke, transferred from another unit in the library, where I had no idea they resided. 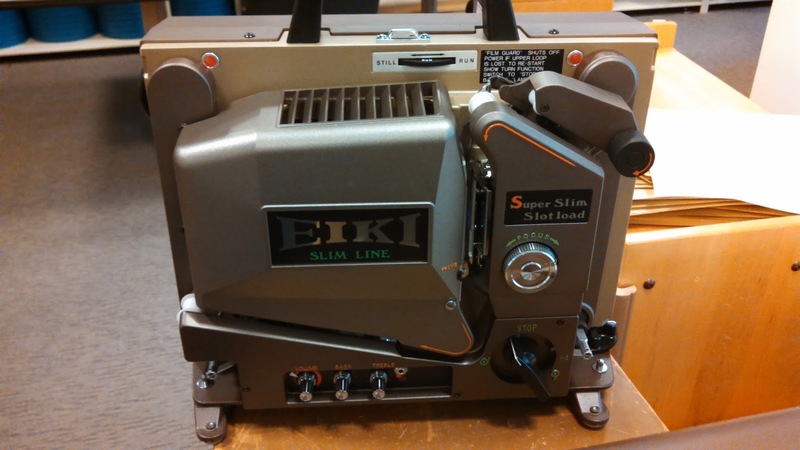 This will be wonderful for when patrons wish to view film. 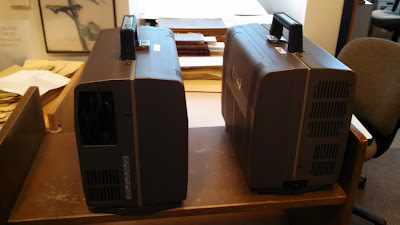 They are 16 mm sound film projectors, so they won't work for all the film we have, but will work for all the 16 mm. Prior to this we had no projector. Thanks to Jason Kiley who noted all our film storage containers and asked if I was interested in them before they were taken to surplus. 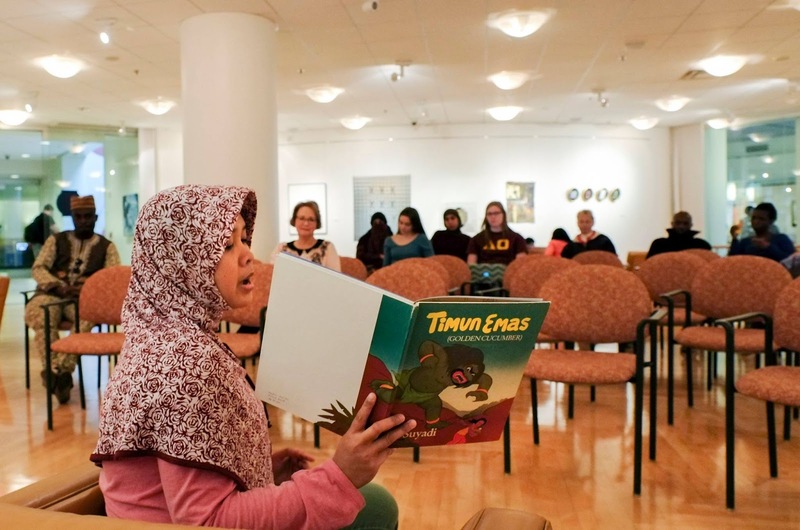 On Tuesday, April 19, The Clarke held our second International Children’s Book Read-In event. 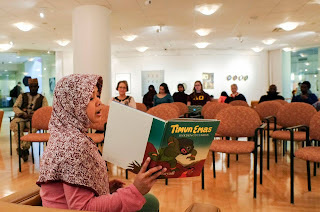 During the 3-hour event, over 60 people stopped by the Park Library Baber Room to listen to 12 readers from all corners of the globe read children’s books. The audience ranged in age from 5 months to over 90 years old with many college students and several members of the greater CMU community stopping by to listen. The books that were read came from the Clarke’s collection of award-winning international children’s literature – with books in over 50 languages, the Clarke has quite a selection to choose from. 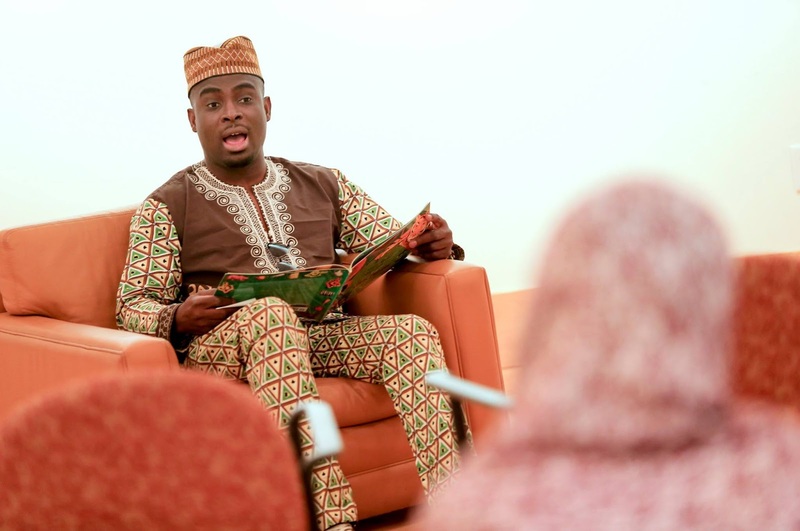 The readers read a book in their native language and provided the audience with a translation. All of the readers did a fantastic job and the audience had the chance to hear just a little of the languages that the readers grew up speaking. 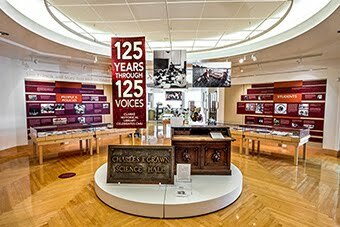 It is incredible to think that all of the 11 languages we heard -- plus many more -- are regularly spoken by members of the Central Michigan University community. Being able to hear Polish, Arabic, Portuguese, Japanese, and French plus Yoruba, German, Chinese, Indonesian, Swedish, and Korean all in one afternoon was a great experience for those who attended. For entertainment, education, and simply conversing with our international colleagues and fellow students, this event was a great way to spend a Tuesday afternoon. For some excellent photos of the event, check out the Central Michigan University Facebook page. 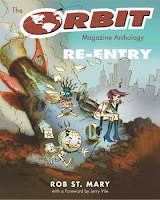 Join us on Monday, April 11 at 7:00 pm in the Park Library Baber Room to welcome Michigan Notable Book Award Winner Rob St. ​Mary, author of The Orbit Magazine Anthology: Re-Entry. This book, which details the full run of White Noise, Fun, and Orbit, is a collection of two decades’ worth of Detroit’s alternative publishing history into an oversized, heavily illustrated volume that situates the publications in the city’s pop culture and media history. Orbit, a local journal, was an instantly recognizable arbiter of 1990s Detroit culture. Its irreverent tone and unique editorial features could be traced to two earlier local publications from creator Jerry Peterson — White Noise (1978–1980) and Fun: The Magazine for Swinging Intellectuals (1986–1990).